This book is just one element of a suite of resources designed to help improve the educational outcomes for all children by empowering educational leaders in national, regional and local contexts to examine, refine and develop their leadership skills. In this revised and updated edition, the author takes an in-depth and diagnostic approach, encouraging leaders at all levels in schools to think about their own personal qualities; their specific situation; their own leadership actions; and their own overall leadership approach. 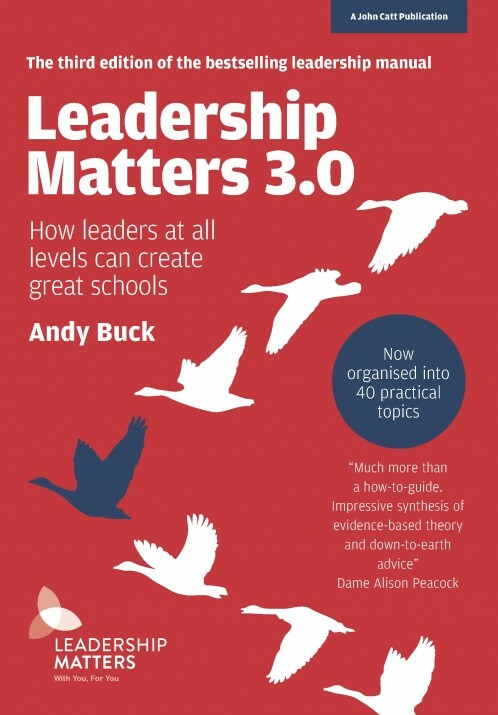 Developed alongside the book, the Leadership Matters website gives school leaders affordable access to high quality online diagnostic tools, videos and other leadership resources. Everything on the website, including the 40 exclusive videos, is designed around the same 40 topics from the book (known as the LM40), making it really easy for busy school leaders to find what they need. Featuring a foreword by Alison Peacock, chief executive of the Chartered College of Teaching. A geography teacher by trade, Andy went on to become a headteacher for thirteen years at two schools in east London. In the last year of headship, his school was judged outstanding in all categories and Andy was designated a National Leader of Education. In 2009 he become a Director at the National College for School Leadership, leading on the London Challenge programme. He was subsequently responsible for setting up the government’s flagship Teaching Schools programme before being appointed as Managing Director at United Learning, one of the country’s largest academy groups. Since 2014, Andy has founded two organisations: Leadership Matters and #honk. Both aim to improve the educational outcomes for pupils by supporting great leadership development. Leadership Matters is a web-based membership organisation that offers school leaders access to high quality online development tools and other leadership articles, videos and blogs. #honk is the organisation through which Andy works directly with educational leaders on executive coaching, team development, training and conference keynotes. His website honk.org.uk also offers hundreds of free-to-download leadership resources. Andy was invited to become a Fellow of the RSA in 2015. He is currently the Chair of the Education Committee of the education charity, Ambition School Leadership, which was formed from the merger of Future Leaders and Teaching Leaders. He is also Honorary Vice President at the Geographical Association and Education Adviser to the Duke of Edinburgh’s Award. Former board membership has included the Teacher Training Agency, the National College for School Leadership, Partnerships for Schools, the Teacher Development Trust and the Teaching Awards.